LEAR, Edward. 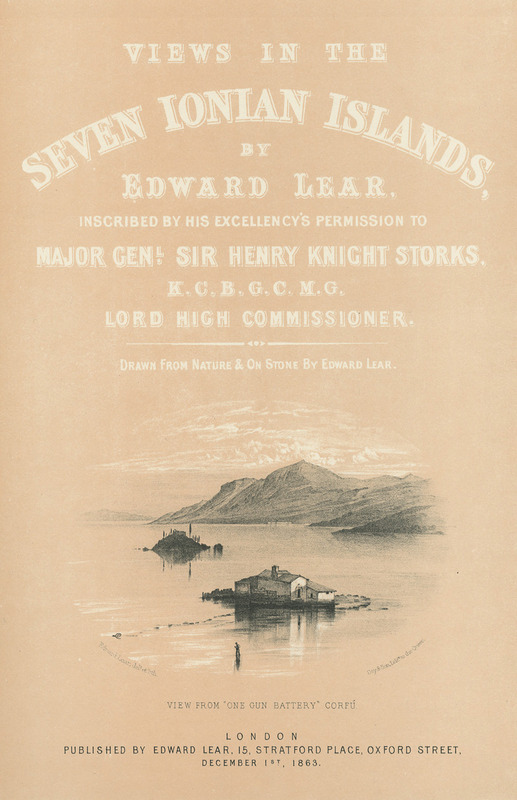 Views in the Seven Ionian Islands by Edward Lear. A Facsimile of the Οriginal Edition published in 1863 by the Artist, Oldham/London, Hugh Broadbent [1863/1979].